Everyone adding colors to the mural. 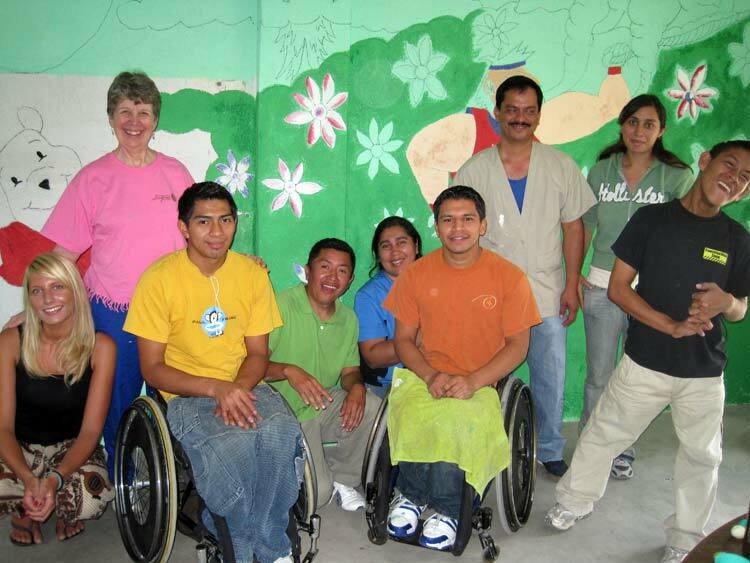 This past March, Transitions partnered with visiting Rotary Club members and local Spanish school students to repaint our Special Education Classroom in San Antonio Aguas Calientes. 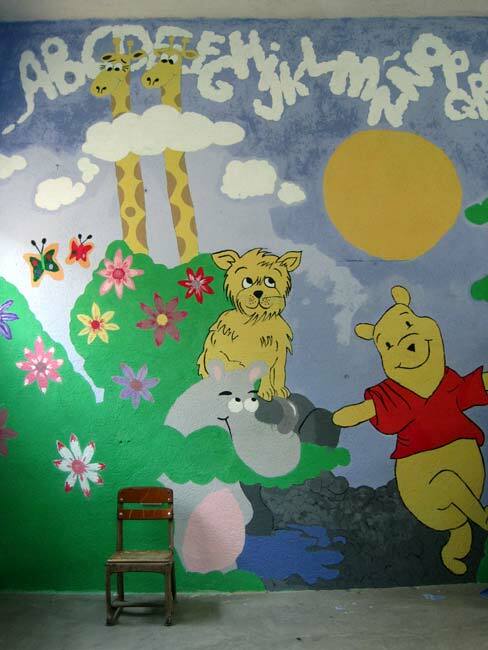 The effort brought together individuals from all parts of the world, and all age groups, to transform our classroom into a colorful and creative environment. Students were able contribute in the effort and work alongside some of the Transitions staff members, who serve as their role models. 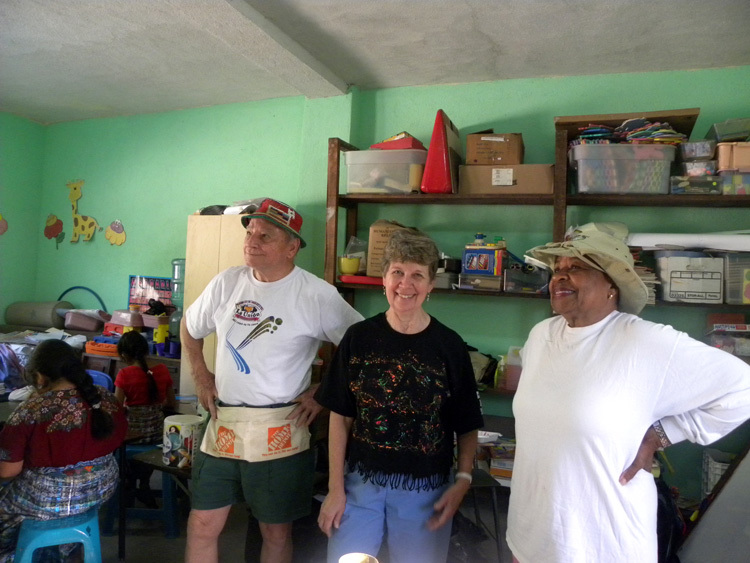 Rotary volunteers stand back to admire their work. Sam and Kristin, two of our Spanish student volunteers, putting in some final touches. 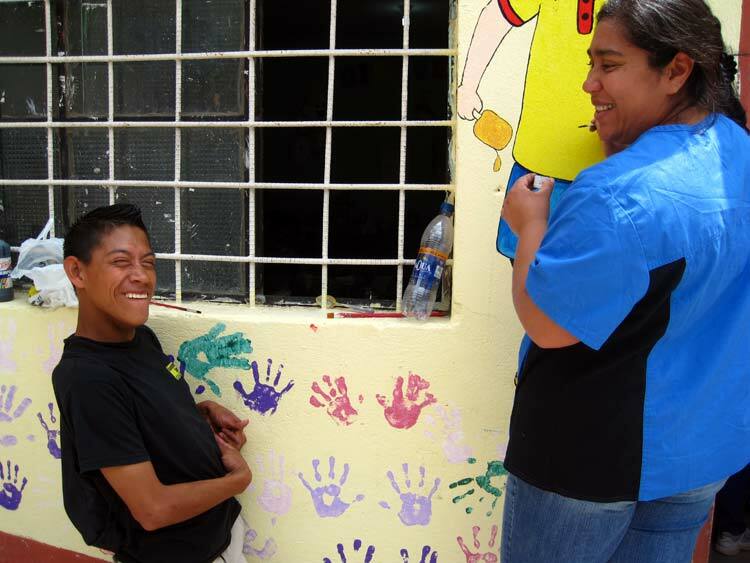 Osiel, one of our sponsored students, painting alongside Lucy, a Transitions team member. The painting crew gathered for a photo after a long afternoon of work. 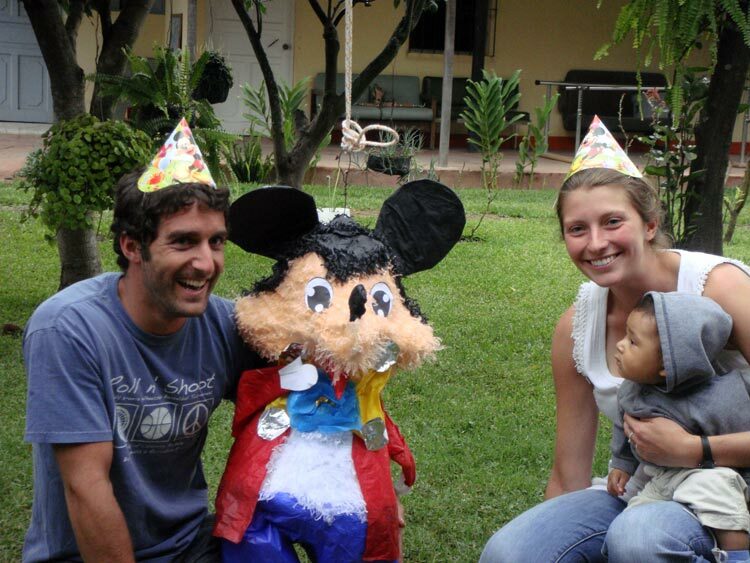 I stayed in Antigua, Guatemala for 3 months and the weeks I worked with Transitions made the whole stay just perfect! 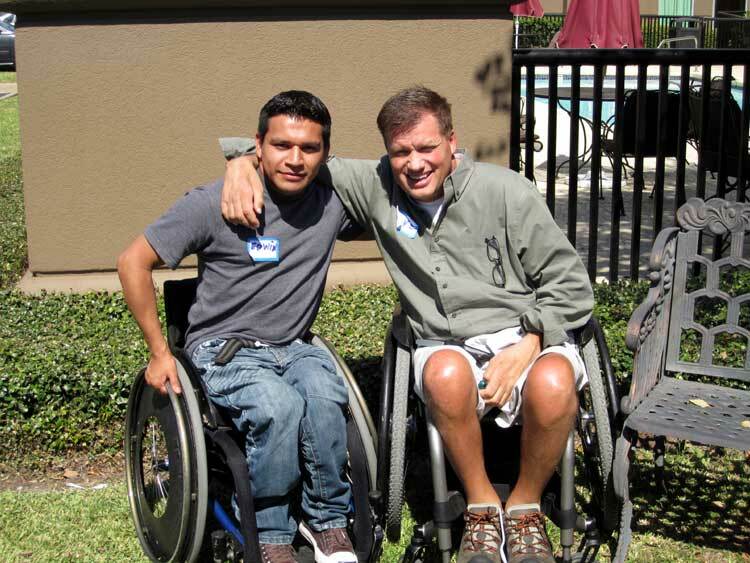 When you sign up for volunteer work it is not given that you will get to do something you love. But, thanks to Transitions, I got to spend my days with wonderful young people and participate in making their daily environment reflect their beautiful and unique personalities! 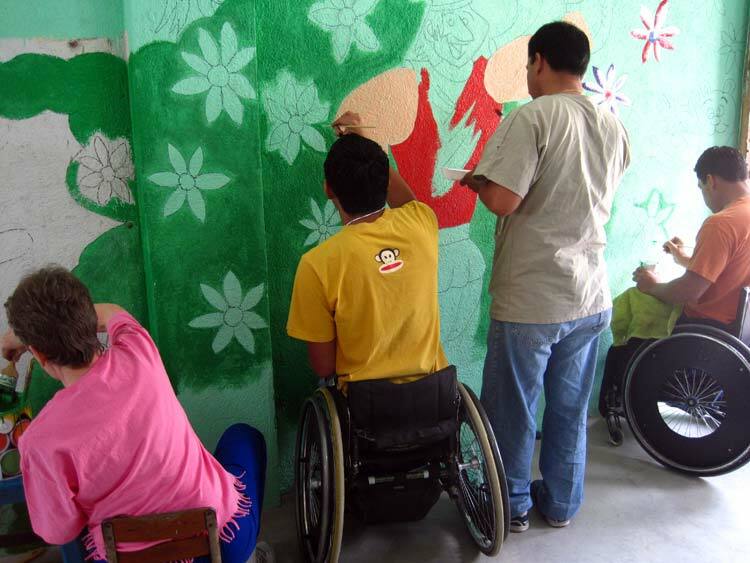 The children in the special education class all helped making drawings to design the look of their classroom. Every student in the class played a part in this project and every day I was witnessing their good spirits, their always smiling faces and the ability they have to take care of each other. These children deserve every opportunity in the world, and as I was working with them I understood that there is not much missing to give them these opportunities. 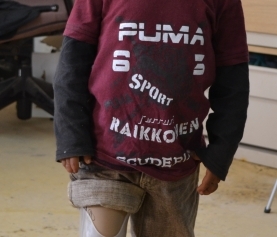 That is why I chose to sponsor Osiel, who is now “my” child in the special education class. I would encourage everyone to do the same. The little effort it is for you makes a big difference for them! We thank Kristin for her time with us, kind words, and continued support. She had a significant impact on the children and will be missed.